17,500 protesters gathered in Dresden, Germany to sing Christmas Carols and protest against the Islamization of Europe. The political elite and leftist media are worried that an anti-foreigner sentiment might be rising in Germany. The movement has grown from a few hundred to several thousand protesters. 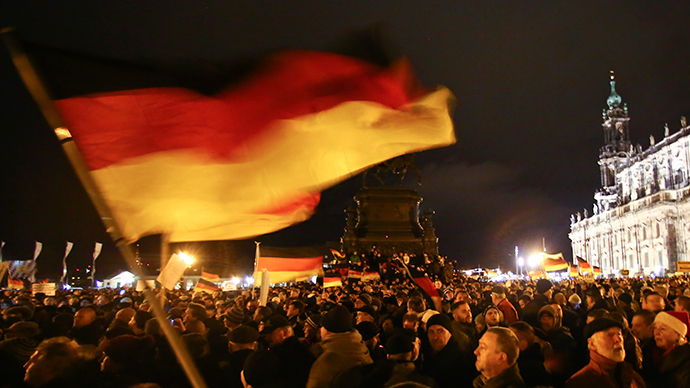 The protesters waved German flags and sang Christmas carols.